Are you doing link building for SEO right? Links are the backbone of the web, but not all links are created equal. While the right kind of links can enhance your online reputation, the wrong kind can totally tank it – and it can take a long time to recover. In this guide, we’re going to go back to basics, explaining link building for SEO from start to finish. By the end, you’ll be able to use our tips and examples to create your own successful link building strategy that drives traffic to your site so you can boost leads and sales. Link building for SEO is getting links from other sites back to your own site. Links are one of the top SEO ranking factors, and Google uses them to gauge the authority and relevance of your site for particular search terms. How do you build links for SEO? Well, don’t go rushing out to buy some links; that won’t help your link building SEO strategy. There are two kinds of links you want to build. First, earned links, which are links where external sources choose to cite you. Google bots discover content by following links. Without any links to it, your content may never be found by Google. Links are one of the most important SEO ranking factors. The more high-quality links you can get, the higher your content should rank. What do we mean by “high quality”? Let’s take a look at how Google determines this. An authoritative link is one coming from a site that is trusted by its audience, visitors, and Google. That’s likely because they regularly publish high-quality, well-researched and verifiable content that attracts inbound links from other high-quality sites. People are also likely to engage with the content. You’ll also hear link authority referred to as link juice. Link juice refers to the value that “flows” through links. A high-quality, authoritative site has a lot of link juice which it passes through its links, helping those linked pages to rank higher. In contrast, as you’ll see, low-quality links tend to come from sites that aren’t trustworthy, and may even be trying to manipulate search rankings. Links from low-quality sites can hurt your rankings. The purpose of link building for SEO is to have a balanced link profile, including all types of links. Before you start building links to your site, you need great content. That’s because you don’t want people following links, then bouncing away quickly because they’re disappointed. That’s called pogosticking, and it hurts your search engine ranking. Instead, build links to content that is relevant, valuable and trustworthy. That’ll help both Google and visitors see you the same way. You can also include checklists, cheat sheets, ebooks and other resources and lead magnets in your content strategy. If they’re valuable, then people will link to them. One thing that’s worth doing is checking who’s already linking to you, and whether those links are useful, or could potentially hurt your SEO ranking. An easy way to do this is to set up a SEMrush project for your website, then use the Site Audit tool. That’ll track inbound links, and will tell you if any of the links are potentially toxic. Some webmasters use this information to email site owners and ask politely for the link to be removed. 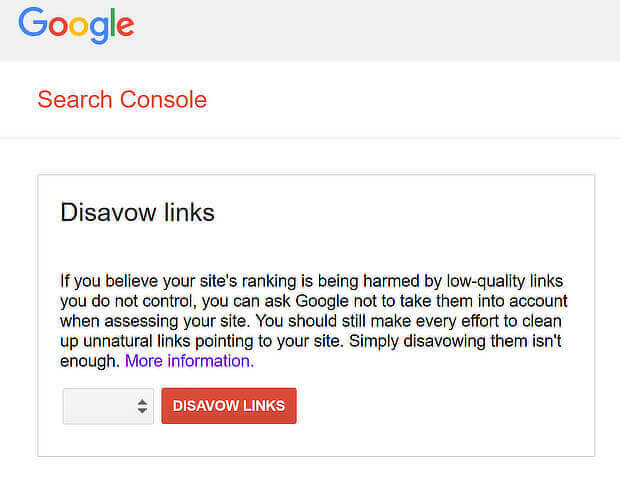 Others use Google’s Disavow Links tool to achieve the same result. Google itself advises caution when using this tool. Only use it if you have a lot of spammy links coming to your site. Otherwise, Google’s probably smart enough to figure out which links to ignore. Now, let’s look at some link building techniques and strategies. We’ve talked about inbound and external links, but what about links within your site? As we’ve discussed, it’s also important to have a good internal link structure for SEO. This helps visitors navigate your site, and find new content, and it does the same for search engines. Always include relevant internal links to your own content whenever publishing a new piece of content. On a regular basis (weekly or monthly is good), update your older content to add links to newer content. This will help your readers and Google to discover how all your content is related. To make sure Google knows your links, you can upload a sitemap to Google Search Console. Use the Add/Test Sitemap tool to do this. 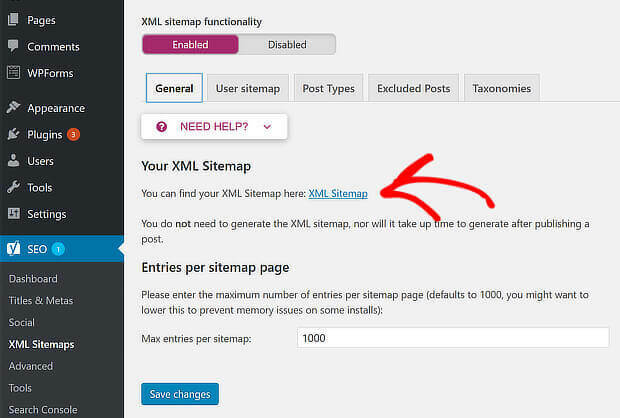 You can create your sitemap with XML Sitemaps. If you’re using WordPress, Yoast SEO will create one for you. It’s also important to find and fix any broken links. You can do this by using Dr. Link Check, which will check 1000 URLs for free. If you’re using WordPress, the Broken Link Checker plugin will do the same job, and will give you an easy way to fix broken links. Be warned, though; this plugin can slow your site down. Now that we’ve dealt with internal links, let’s look a how to get external or inbound links. Reviews are another way to build links from authoritative sources, because reviewers tend to link to you. If you have a new product or service, then ask some online influencers to try it out and review it. If at least a few do, and like it, then you’ll get links, and new business, too. You can also add your product or service to an independent reviews site like G2Crowd. Site members who use it will be encouraged to review it. Though it’s best known for collecting social sharing statistics, Buzzsumo is one of our favorite link building tools. That’s because you can use it to find places where your site has been mentioned without a link. To go that, create an alert for your brand name. Buzzsumo will automatically collect mentions and will flag up the ones where the link is missing. It’ll also tell you the domain authority of the linking site which’ll help you to assess the value of the link for your SEO efforts. Once you find the missing links, reach out to site owners to encourage them to link to you. 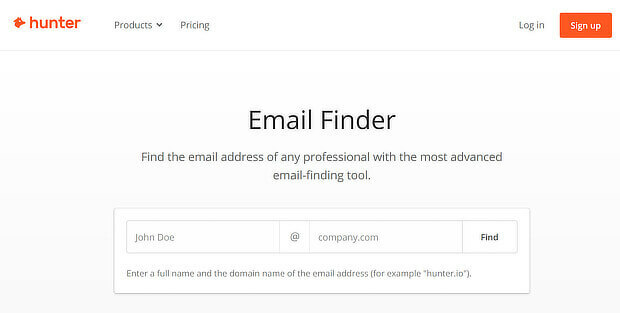 You can find email addresses with a tool like Hunter and use Outreach Plus to automate the outreach process. With Outreach Plus, you can set up a campaign to reclaim unlinked mentions or for broken link building, which we’ll look at in more detail below. 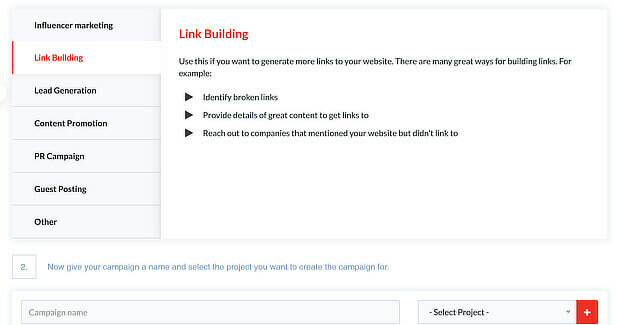 Once you’re logged in, go to +Campaign and choose a Link Building campaign. 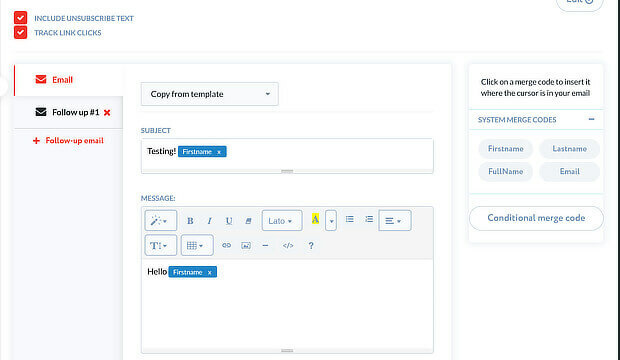 Add the email addresses you want to send your campaign to to the list, then create the emails you want to send. 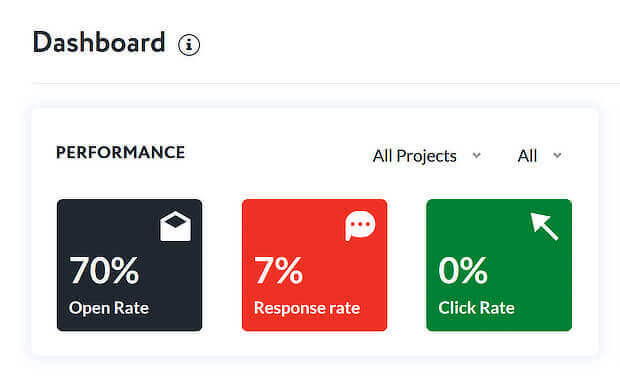 These will go out automatically according to the schedule you set, and you’ll be able to track the success of your outreach link building campaign through the dashboard. You can also use outreach to let influencers know that you have linked to them. This can result in links from their sites, as well as more traffic. And, of course, you can reach out to people through their social media accounts. Check out the site’s domain authority to ensure that a link from their site will enhance your own site’s authority. You can do this by checking their domain on Open Site Explorer. Next, find contact details for the site owner using a tool like Hunter. Third, send an email outlining how your resource fits their content and asking them to consider linking to it. Highlight the value to them and their readers for best results. If what you’re pitching offers real value to the site’s readers, the site owner may consider it. Related to this, there’s also a link building technique called broken link building. What is broken link building? Identifying broken links on other sites, and offering your own relevant resource to site owners as an alternative. Select the domains you want to target and reach out to them. One of the most effective types of link building is guest blogging. Guest blogging works because you offer value to site owners in exchange for a link back to your site. If you choose your guest blogging targets carefully, you can soon build up a diverse and authoritative inbound link profile. Learn more in our ultimate guide to guest blogging. How do you get more backlinks to your site? One option is to get social shares. Though social shares aren’t a direct ranking factor, they can help indirectly. The more your content is shared on social media, the more people will see it and link to it. 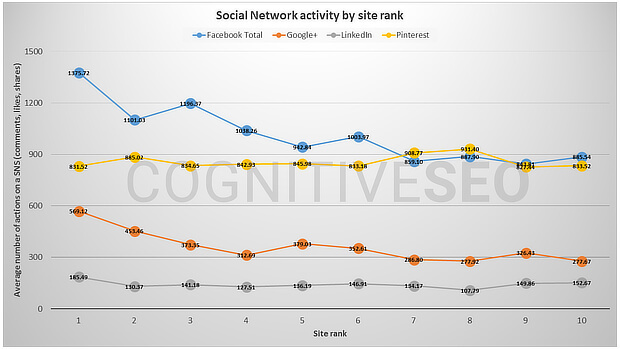 This explains why the highest ranking content usually has more social shares. That’s why it makes sense to have social sharing buttons on your content. Here are a few social media plugins you can try to achieve that. Ever wondered why there are so many expert roundups around? One of the reasons is that an expert roundup is a great SEO link building technique. Not only is it an excellent way to get original content by getting a couple of paragraphs from each expert, but you’re practically guaranteed they’ll share it with their audience. Whether this means sharing via links on their website (a direct SEO ranking factor), or sharing on social media (which can help indirectly, as explained above), the end result is good for you. You can use a similar technique to feature your customers, perhaps by writing case studies. They’ll be sure to share with their audience, giving you inbound links from relevant and authoritative sites. Link building for SEO has changed a LOT since the early days, and there are a few practices that used to be accepted that aren’t any more. If your SEO firm suggests any of these, don’t just walk away – RUN! Luckily, as you’ve seen, there are still plenty of ethical ways to build links. Use those, and your link building for SEO will soon be successful. That’s it! Now you know how to use link building for SEO so you can improve search ranking, leads and sales. Next, check out our SEO tips from the experts and our guide to SEO for lead generation. And follow us on Twitter and Facebook for more in-depth guides. I completely agree with you link building is one of the most important tactics to boost search visibility and guest blogging can prove really useful in building good links. Thanks a bunch for sharing such an informative post. I would never expect that your advice could really help me increasing my search engine traffic rank. I am skeptical at first but my site was able to go to another level where I get 30,000 unique visits per month in just 5 months. The best part is that your advice and tutorial is easy to follow.